Malhi P, Kaur A, Singhi P, Sankhyan N. Sleep dysfunction and behavioral day time problems in children with autism spectrum disorders: a comparative study. Indian J Pediatr. 2018. https://doi.org/10.1007/s12098-018-2731-z. 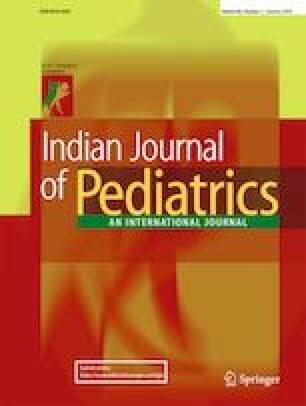 Padmanabha H, Singhi P, Sahu JK, Malhi P. Home-based sensory interventions in children with autism spectrum disorder: a randomized controlled trial. Indian J Pediatr. 2018. https://doi.org/10.1007/s12098-018-2747-4.